Discussion in 'Visual Arts' started by Jeff Kent, Feb 10, 2019. While there have been many movies filmed in the Steel City, my favorite is The Silence of The Lambs. I believe census takers will be making their rounds again next year. Larry Mc and mmars982 like this. Not a "film" per se, but the television show FREAKS AND GEEKS takes place in and around my hometown of Clinton Township, Michigan. Many places are referenced in the show, including the bar THE RUSTY NAIL that the kids all use their fake I.D.s at. From Palo Alto, CA, and worked my whole career there. So, “Harold and Maude” (1971); filmed in and around there. I was lucky enough to see scenes filmed. But I consider Ukiah, CA, to be my home town. They filmed “Magic” (1978), with Anthony Hopkins and Ann-Margret, starting at my high school gym with a lot filmed at nearby Blue Lakes. I was still in Terre Haute Indiana when they shot "Breaking Away" a bit south of there in Bloomington, 30 miles away...that's as close as we got. On the other hand, I was at Ball State in Muncie when this Spielburk fella come to town with his big Hollywood lights and trucks, said he was doin' a movie 'bout aliens, and shot up there for a few weeks. Morpheus and clhboa like this. “Necessary Roughness” was filmed in my hometown. My then girlfriend (and singer in our band) was in the fake marching band in the movie. I served Héctor Elizondo some yogurt at the TCBY store I worked at near the college. All I remember is, “hey, that’s an actor I know and he has really bad breath”. Larry Mc and MikaelaArsenault like this. 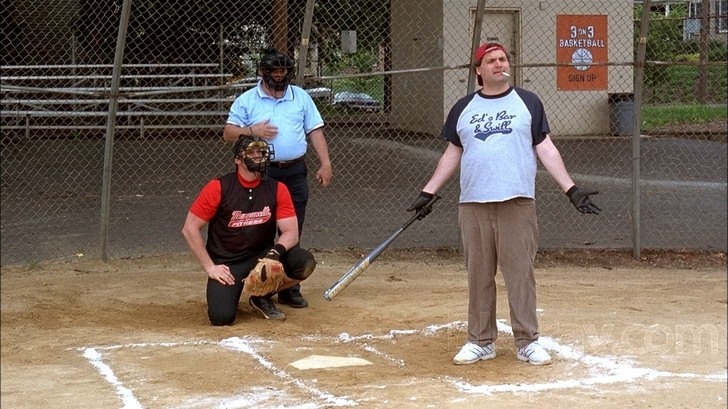 The game portions of Artie Lange’s movie Beer League were filmed a few hundred feet from my Mom’s house in Rutherford, NJ. A William Friedkin movie called Rampage (1987) was filmed in my hometown. I remember it well. Some of the campus and other scenes from Rob Reiner's The Sure Thing (1985) were filmed here too. The river scenes from Hot Shots Part Deux were shot on the San Joaquin river. Charlie Sheen and his dad stayed at a hotel downtown. They must have been scared. I started to post some then I found a page with access to all the Movies made in Monterey Country. There are more than I thought, it's so beautiful here. kevywevy and Morpheus like this. Part of Good Time, starring Robert Pattinson, was set and filmed at Adventureland in Farmingdale, Long Island. I spent quite a lot of time there as a youngster. Invasion of the Body Snatchers - 1956 - Good portion filmed in downtown Sierra Madre CA. The old fire horn (volunteer fire dept) is even heard . I grew up in NYC and I currently live in Los Angeles. How much time do you have? This is why I initially said 'barring the big cities.' I lived in NYC too...I could list just the movies I watched them film and even that would be a long list. A number of major films were filmed or took place in my hometown of Milwaukee. 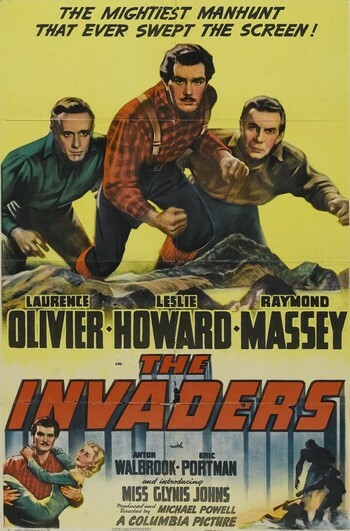 it was a British production that was released in the USA with a different title 'The Invaders'. It was very clearly a propaganda piece... with the intended purpose of "scaring" the Americans in to entering WW2. It showed how North America could be vulnerable to attacks by German U-boats. Lots of recent stuff was "partly" filmed in Winnipeg... mostly B-movie horror things (the last 'Chucky', and 'Scooby Doo 2') and Hallmark-type romantic comedies ('Shall We Dance' with J-Lo and 'New In Town' with Renee Z). The big attraction here for period films is the Exchange District... lots of surviving late-19th century buildings... the last "big" one filmed here was 'The Assassination of Jesse James By The Coward Robert Ford' in 2006. The one we're proud of is The Adventures of Robin Hood starring Errol Flynn. They also shot a few scenes of Gone With the Wind here. Stolen Summer -The Project Greenlight film was filmed in Deerfield too. Someone I knew was friends with one of the kids in the basketball sequence, said Caan couldn't shoot a basket for squat. The undertaker in the film is a real one, his firm has been in business for many years. He handled the old man's burial, told me he still gets tiny residual checks from the film. I'm from the DC suburbs. If we can only count literal hometown, it's a limited number, but if DC counts, it's a bunch! 49th Parallel may have been propaganda but it was also a great frickin' movie. Lots more for Massachusetts and Maine, but I'm listing the ones for NH. I have to vote for Ted V. Mikel's 'Ten Violent Women', the only movie I'm aware of to be shot in Seal Beach California! many, many shot or set in the Seattle area, but dearest to my heart was An Officer and A Gentlemen. i was lucky enough to be an extra for a day during filming of some scenes of reconciliation between Robert Loggia and Richard Gere that unfortunately ended up on the cutting room floor. i was even approached to be dressed in a Navy uniform and sit in a section of sailors but it was close to 90 degrees and there were wool jackets involved so i passed. plus i wanted to sit with the friends that were also there. they had the sailor extras literally passing out due to the heat. still have the pay stub from the studio. great day. Big Spring, Tx--pop. 20,000--early scenes in Midnight Cowboy and Hanger 18. I had a chance to stop in Big Spring during a trip several years ago. It was kind of a pilgrimage because I'm such a 'Midnight Cowboy' fanboy. Couldn't quite locate any exact locations in the film besides the historic Settles Hotel, but the overall feel of the town reflected that of the movie. I believe the Greyhound terminal next to the hotel had been demolished only a year or two prior. The hotel was under renovation at the time. I walked past at least a couple of abandoned, sad downtown theaters and wondered if that was seen in that opening great tracking shot. It was fun as "Everybody's Talkin'" looped in my head while I strolled around for a while. Much of “Ladybird” was filmed in my previous hometown, Sacramento.